My Nana made the best beet soup. 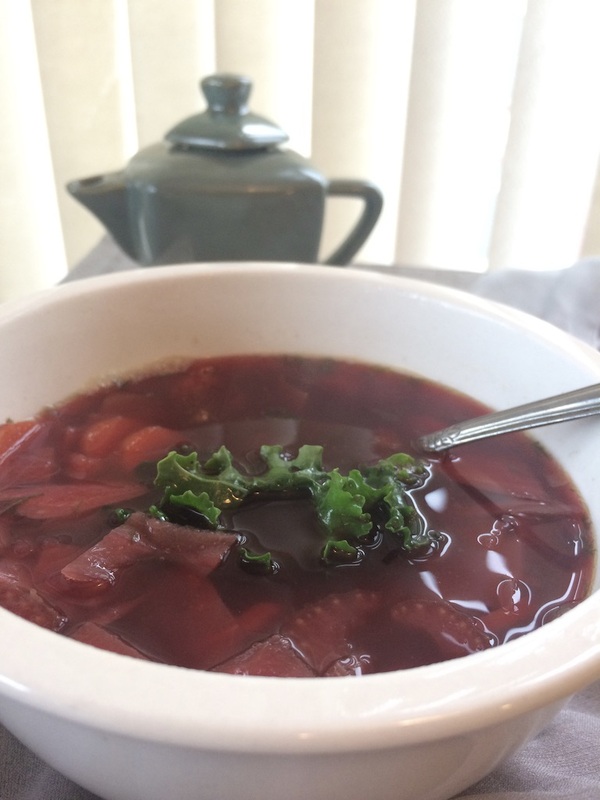 For those of us who are of Ukrainian background, beet soup is referred to as borscht. 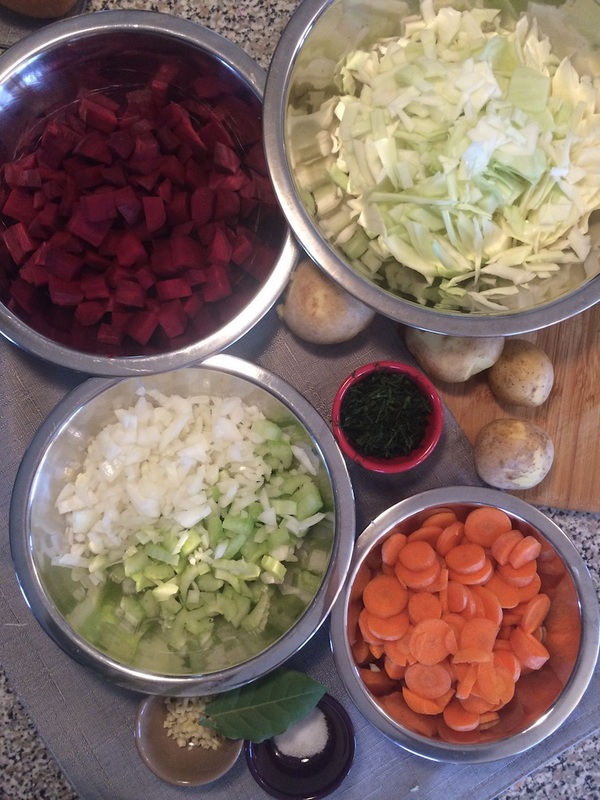 I have such fond memories of walking into my grandparent’s kitchen on a cold, winter day, our glasses fogging up from the heat of the stove and the sweet, sweet, delicious smell of homemade borscht. Brings tears to my eyes thinking about it and how I would give anything to walk into her kitchen again, give her a big hug and share a bowl of love and nourishment. Nana never wrote out her special recipes so I’ve tried to re-create her masterpiece. I think it’s pretty close, she’d be proud. Heat your oil in a large stockpot over medium heat. Add the onions and celery and saute for 4 – 5 minutes or until translucent. Add in carrots, garlic, bay leaves and saute for another couple minutes. Add the beets, potatoes, beans, black pepper, salt, and bone broth. Cover with a lid and cook for 10-20 minutes. Check the beets for tenderness & add in cabbage, and dill. Cook for another 10-15 min until the beets are well cooked. Garnish with fresh sprouts, parsley or kale, salt and pepper to taste. Note: Traditional borscht is often served with a dollop of sour cream. While my stomach doesn’t enjoy dairy as it once did, a dollop of plain Greek yoghurt would do the trick. Enjoy nourishing soups? Be sure to check out these beauties! 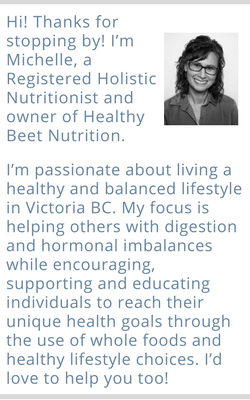 Sunflower Seed Parsley Spread Menopause + Stress = Weight Gain?